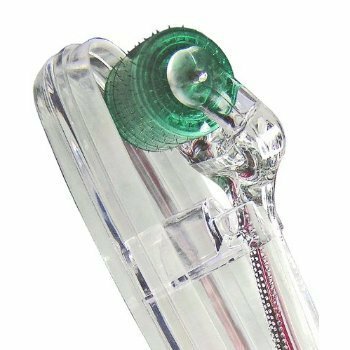 Okay, I've had this thing in my cart in Amazon a few times now...and in case you haven't heard of it and what it does...it's a miniature torture device, with 1.0 mm sized needles that you roll on face and puncture skin. The trauma caused then supposedly boosts collagen production which minimizes acne pitted scars and wrinkles. There are 93 - 5 star and 35 - 4 star ratings on it (which I'd say is pretty high). I read a lot of reviews and it's under $11 but I just can't bring myself to buy it! Something about it makes me hesitate...maybe it's the thought of bacteria entering blood stream easily that way...I don't know. Either way, it's made it's way OUT of my cart yet again. Have you tried it? Tell me your experience with Micro Needling! If it simultaneously gave me the gift of flight, I might consider it.